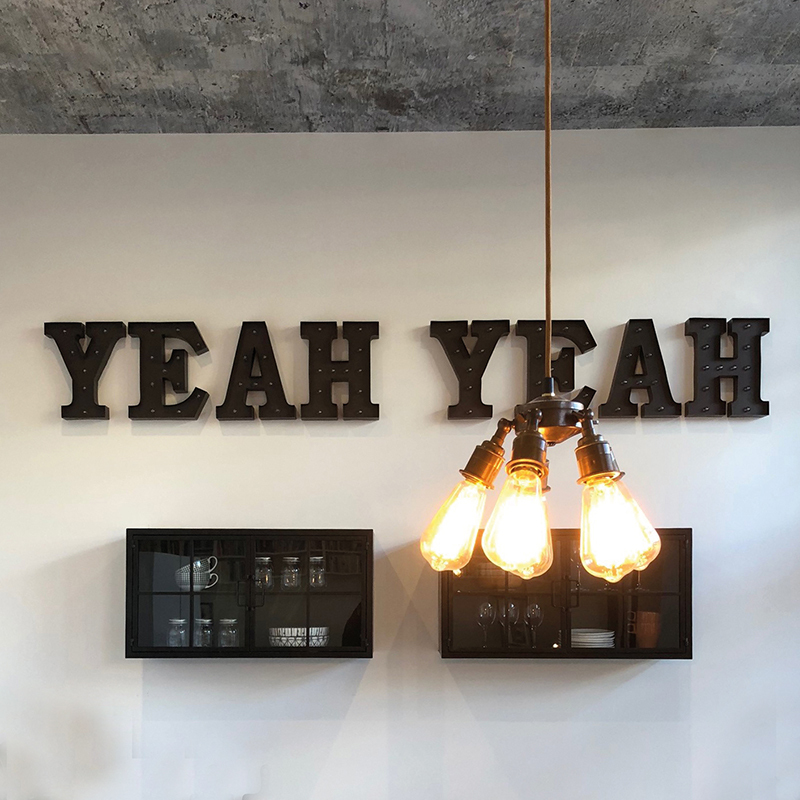 Ok, so we might be pushing at the boundaries of tenuous links by using Black Friday as a design chat subject, but we can’t resist the opportunity to bring a few black influenced interiors images back into the limelight. And at least here we aren’t trying to sell you a 90” TV or an appliance you never even knew you needed. 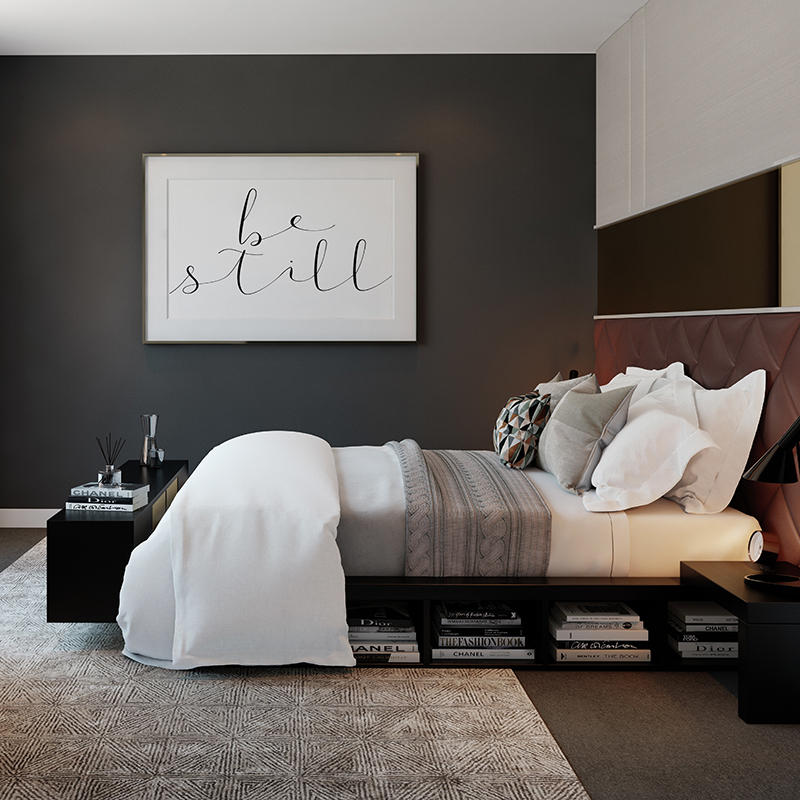 Dark colours are reliably shunned in the circles of property development, where the overruling priorities are to make a space feel as light, bright and spacious as possible. But to overlook the use of darker tones in a room is to miss the opportunity to accentuate just those elements. Painting everything white and kitting a room out in light, pale colours and tones is a surefire way to make the space feel cold and unwelcoming, not the kind of attributes anyone wants associated with their properties. The trick is how to balance the dark and the light. Braver choices will lean towards moody, inky colours in greater proportions, which, if lit and dressed well can look stunning. 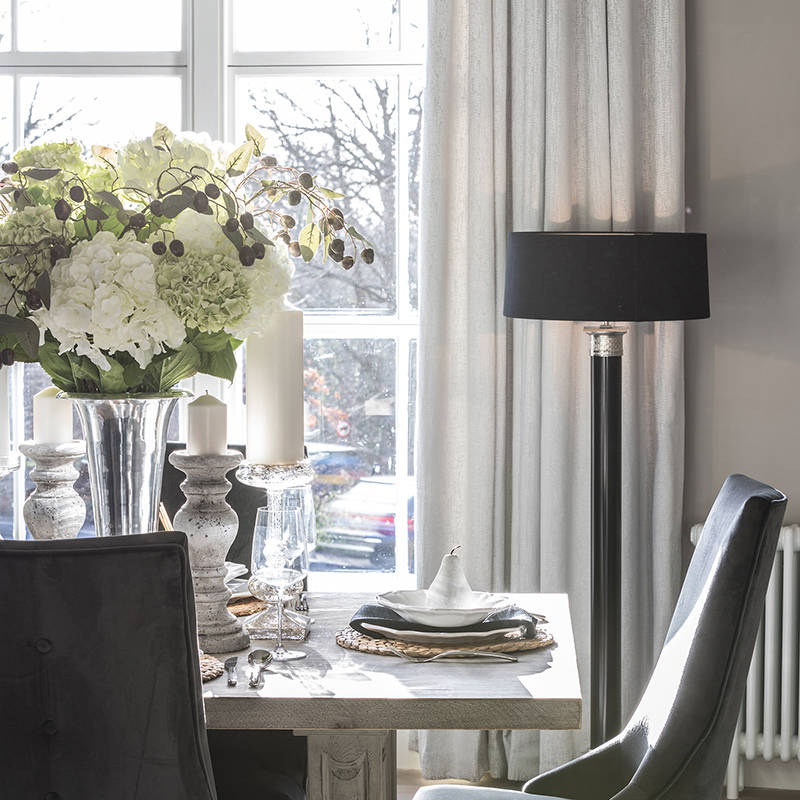 But bringing in black and darker colours can work across the spectrum of dark to light interiors. 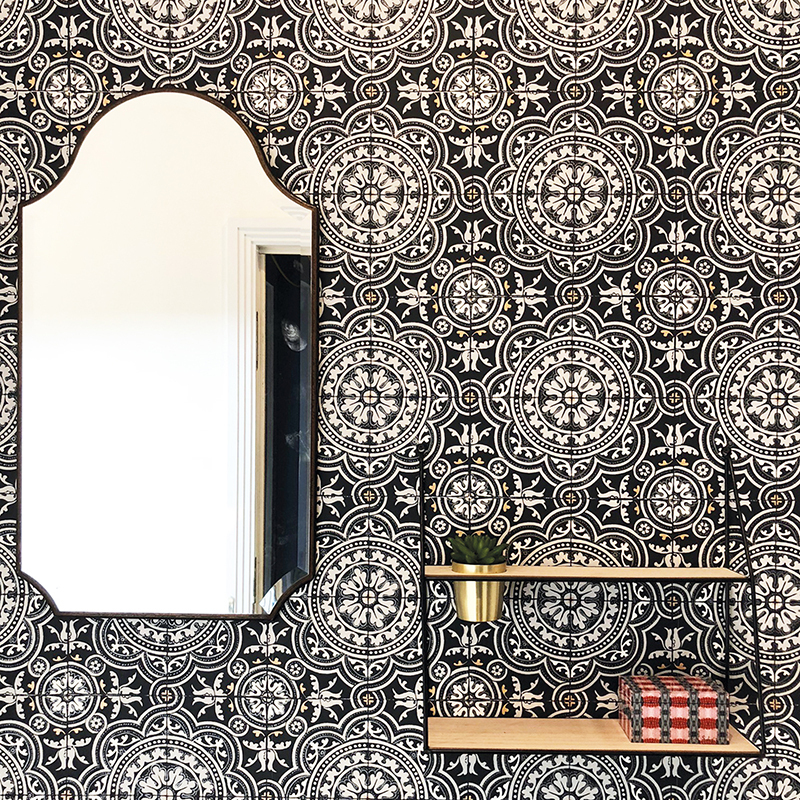 Bringing in accents of black in the furniture, artwork, accessories and wallpaper is a great way to add an element of contrast. 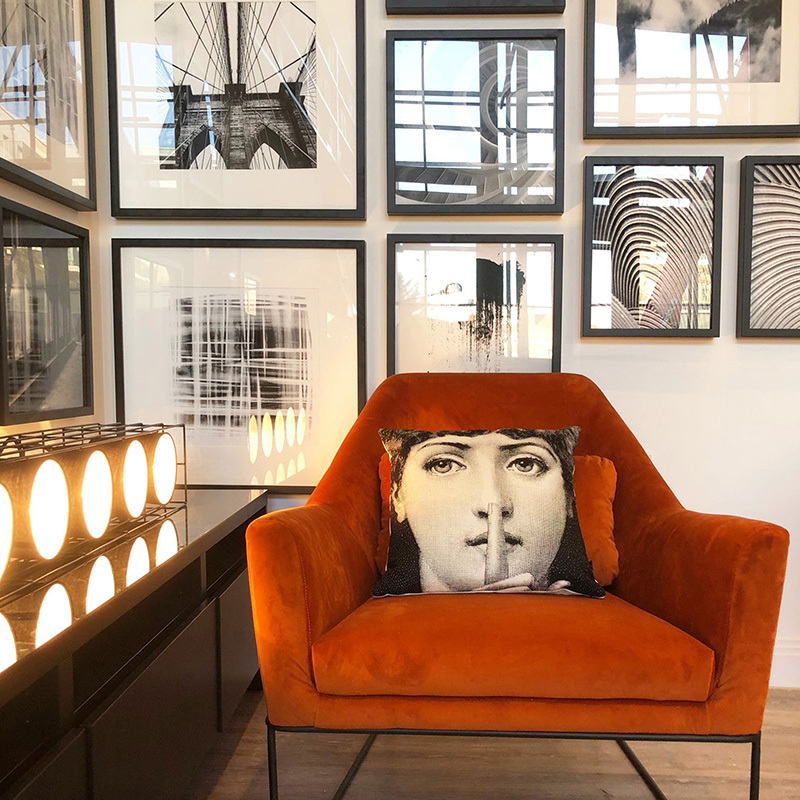 And a monochrome scheme can benefit massively from a punch of another colour, a bright rust orange or a more subtle blush, as seen in this show home for Hyde New Homes at their Wing development in Camberwell. Sometimes the bolder the better with the use of black, white and bright colours. Use pattern and colour in unexpected ways. 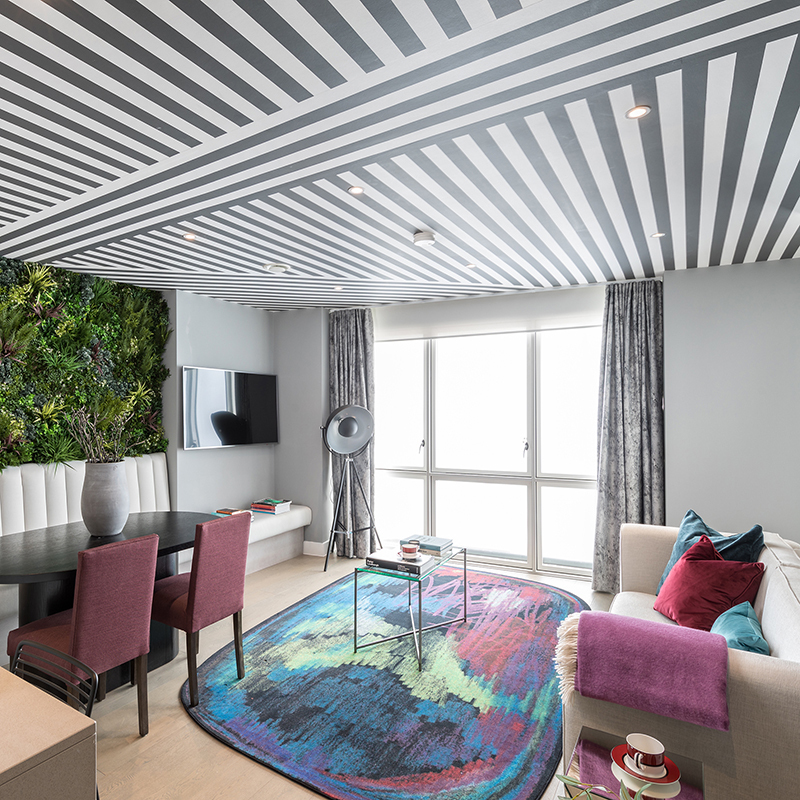 Bring in stripes and geometric patterns, neon accessories and greenery walls. It goes without saying that these developers are not the ones that can be accused of being safe with their show homes. But black doesn’t always have to be bold. 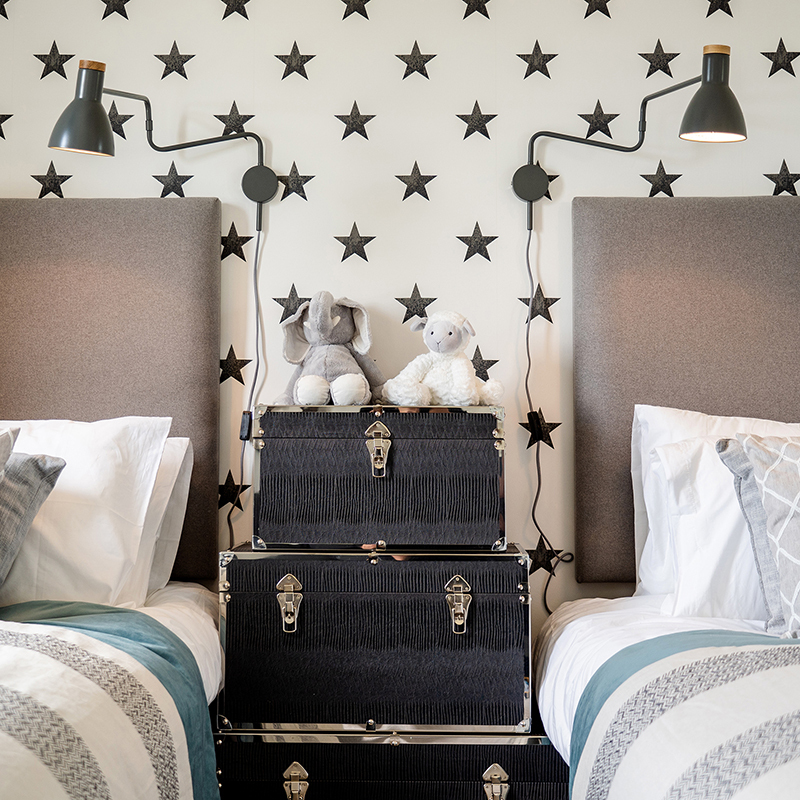 Using black in more classic schemes, in kids bedrooms or in a muted, understated contemporary setting can also work wonders. In specification design black works well as a backdrop, a foil for lighter colours, and brighter accents. Kitchens in a deep dark wood (Ok, these are more graphite and smoked oak than black, but you get the gist) are so effective for achieving a high end, luxurious look. 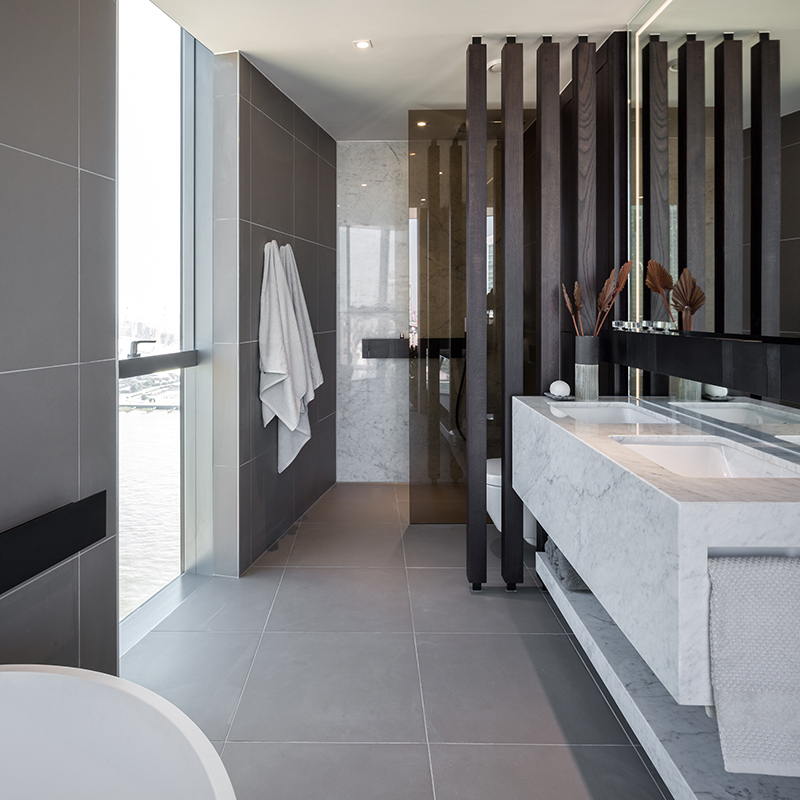 Or try adding monochrome pattern, or highly veined marble against a dark backdrop, warmed with wood tones. All really, really effective, yes? 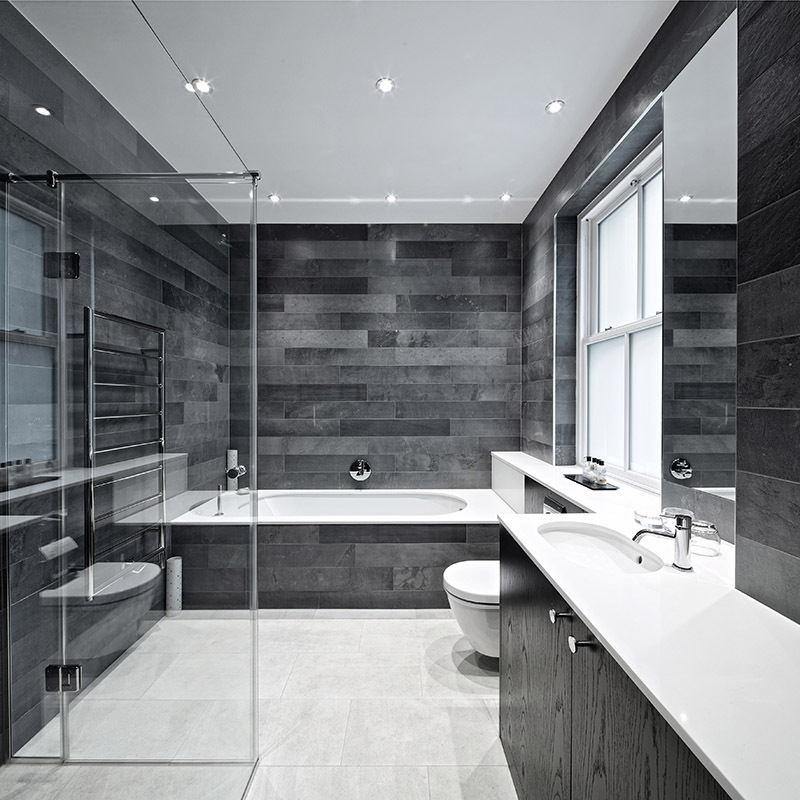 And finally, in a bathroom design, black is a bit of a gift for a designer. Darker tones bring mood and atmosphere to a room that could be perceived as cold and clinical if everything is left as stark and white. Whether you bring in black as a whole wall of marble (maybe it will be on offer on Black Friday to make the costs of real marble that little bit more palatable?! 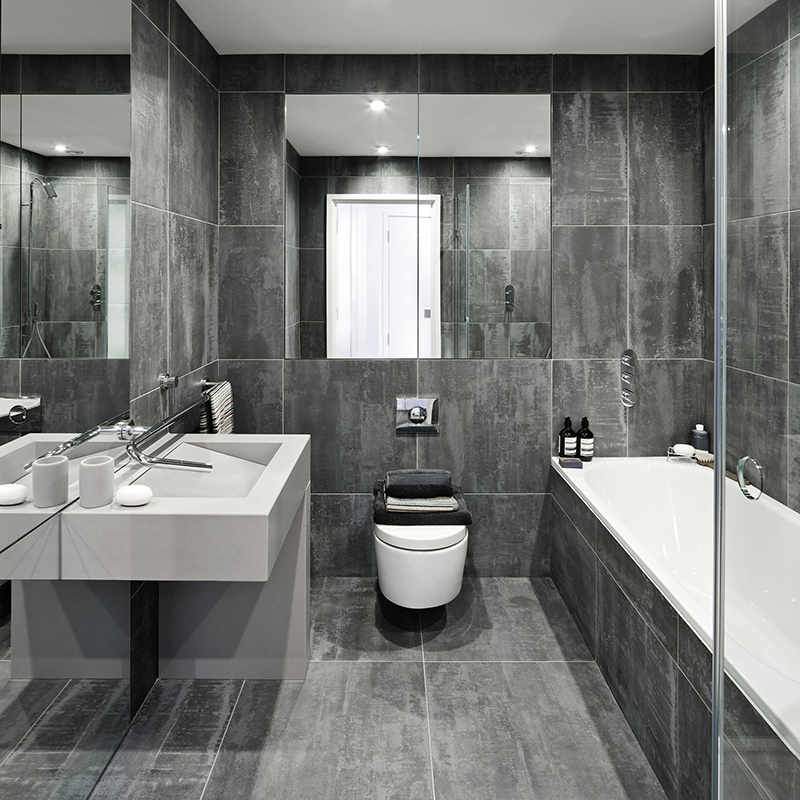 Or use one of the many porcelain effect marbles around at a much more reasonable cost level), or you achieve the same kind of impact with a deep charcoal grey tile. Or whether you just bring it in on the details. 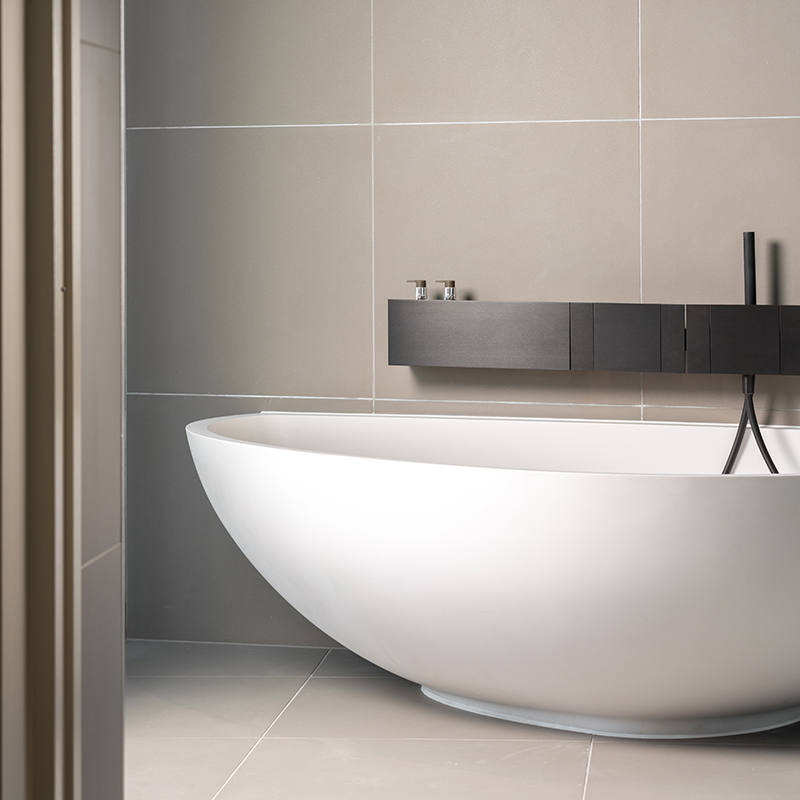 A trim line, a Critall-style shower screen, black or bronze taps and brassware, or a deep wenge wood slatted dividing wall, we think you will agree that these very different iterations of our bathroom design all benefit from that little (or large) element of black being introduced?